Wow, it is Thursday already, and the new year is right around the corner! Where did 2011 go? When I look back at 2011 there are several big moments that stick out to me. But you will have to wait and read about those BIG moments tomorrow, because today I am sharing my top 5 all time favorite recipes (cooking moments) from 2011! 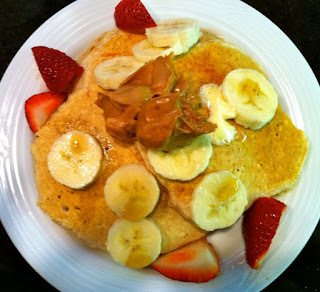 After all Happily Ever Healthy did start out as a cooking blog! I have to say I kinda enjoyed looking through some of the older cooking posts. I am happy with where my blog has gone, lets just say the blog has improved a bit with time! But as promised here are my top 5 recipes (in nor particular order) from 2011! Lets start with breakfast. A meal I use to detest but now wouldn't dream of missing! Delicious any time of the day, and even better when you add banana! A little experiment that turned out fabulous! Perfect for any festive brunch, or when you want something sweet! 4. What is a year without a little chocolate! My Mom's Chocolate Sheet Cake! 5. And last but not least... my Tzaziki CousCous Salad! The remake, with so much more flavor. 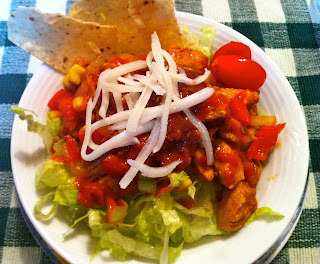 This was the first recipe to be featured on a website! Well there you have it... my top 5 recipes from 2011! Have you ever gone back and looked at where your blog started? These all look so delicious! Happy New Year! I love this for so many reasons. It all looks yummy AND I get to catch up on recipes I missed out on. Yay! Hope you're having a great week and Happy New Year!! 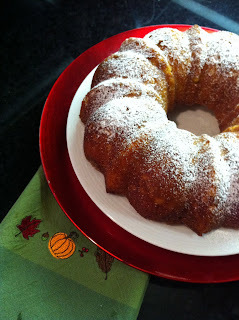 the pumpkin coffee cake looks amazing! wow Oatmeal Pancakes sound SO good!! I'm going to have to make them- I love breakfast! Thanks for sharing all I missed out on! One of my New Year's Resolutions is to cook more! I cook a fair amount now and really enjoy it, but could definitely expand my repertoire! Perhaps, I'll start with some of your recipes! 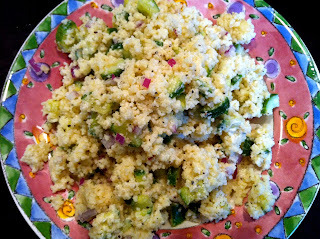 oh my goodness that couscous salad looks SOOOO delicious! YUM, great inspiration! You´ve just made me hungry!